What a show-stopper! 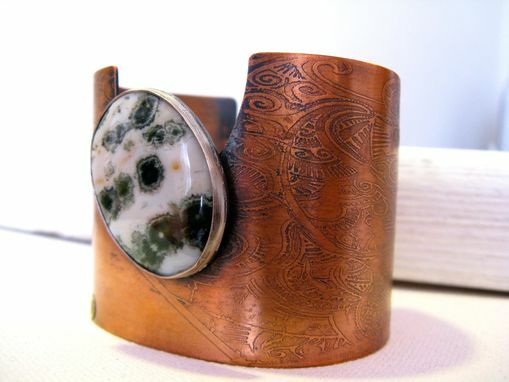 This is one of my favorite cuffs to date. 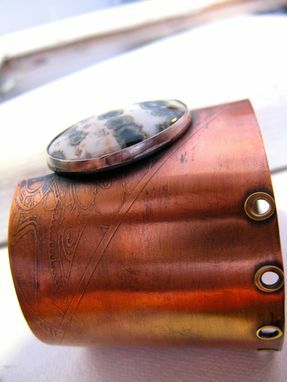 I hand formed a large copper cuff and etched a shallow asymmetrical design into it. The design is based on a traditional henna tattoo - which I'm obsessed with! Next, I added some rustic brass rivets. I oxidized the copper to give it that vintage look. 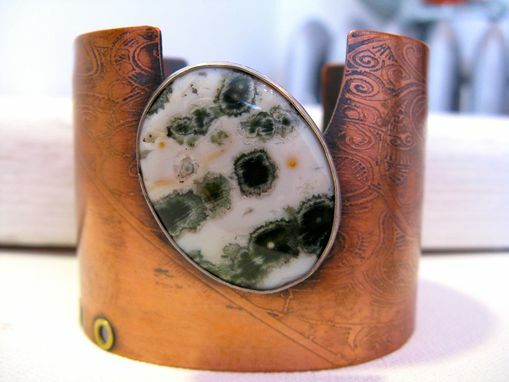 And the final piece - this beautiful ocean jasper. 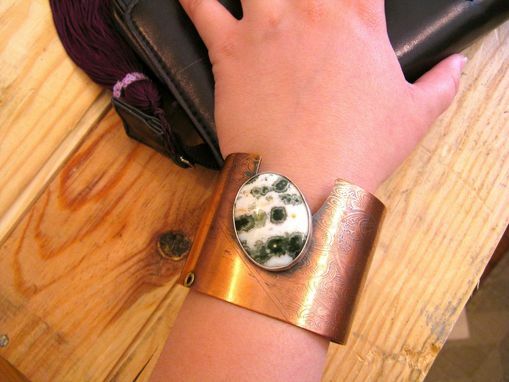 The gorgeous greens in this stone set off the rich copper to make a piece you won't ever want to take off! 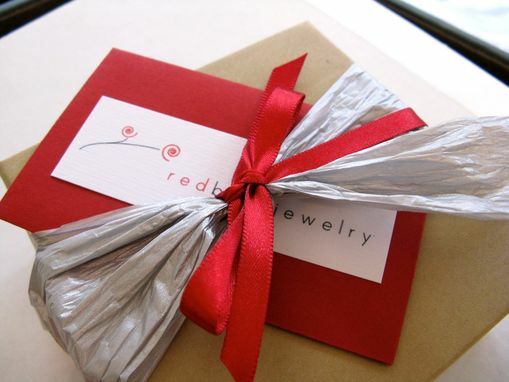 This cuff has been sealed with a jeweler's wax to resist finger prints, keep color true, and keep skin from turning green.